What is Hyaluronic Acid? 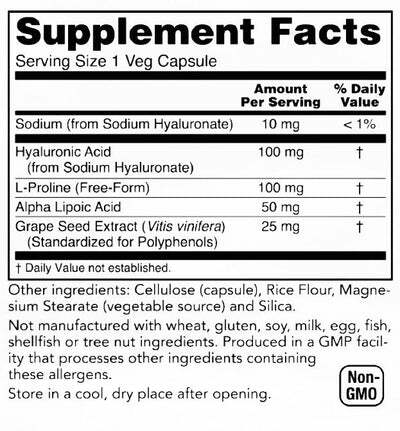 Hyaluronic Acid (glycosaminoglycan) is a long chain disaccharide present in all connective tissues in the human body. How does Hyaluronic Acid support health? Contributes to bone and joint strength. Supports proper cartilage and soft tissue regeneration. Promotes healthy skin and hair growth. Hyaluronic Acid (glycosaminoglycan) is a long chain disaccharide present in all connective tissues in the human body. How does Hyaluronic Acid support health? Contributes to bone and joint strength. Supports proper cartilage and soft tissue regeneration. Promotes healthy skin and hair growth.